Has your Mercedes-Benz earned it’s badge? We are proud to present the Mercedes-Benz Classic High Mileage Award to owners whose vehicles have logged 155,000 miles or more. 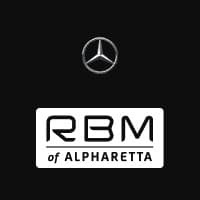 To receive your award, simply download your award application here, complete it, and then take your vehicle to RBM of Alpharetta, or another authorized Mercedes-Benz Dealer for odometer verification. Mercedes-Benz first introduced the High Mileage Award in the 1960s to recognize the many Mercedes-Benz vehicles that routinely travel hundreds of thousands of miles – some even eclipsing the million-mile mark. Yes, you read that right – over one million miles!